Good morning, it’s 6 a.m. and I am wide awake because the man of the house has decided that he needs to perform a series of complex manoeuvres that involve him balancing on his left elbow. When I fell asleep last night, there was a baby lying next to me. Her smelly diaper is still wedged on my head but aside from this rather damp clue, I can't seem to find her anywhere. I could ask my mother-in-law if she has seen the baby, but she may just tell me that I need to fast on alternate Mondays, and God will deliver the baby back to me . 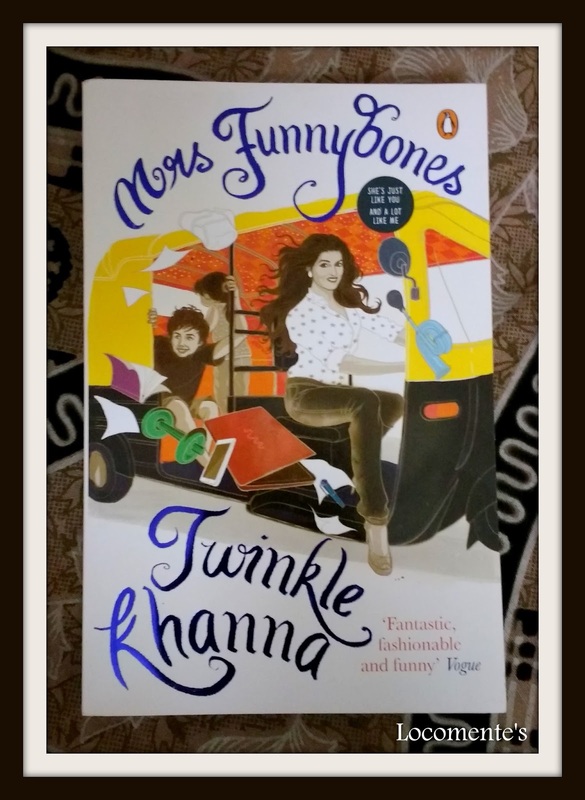 . . Full of wit and delicious observations, Mrs Funnybones captures the life of the modern Indian woman—a woman who organizes dinner each evening, even as she goes to work all day, who runs her own life but has to listen to her Mummyji, who worries about her weight and the state of the country. 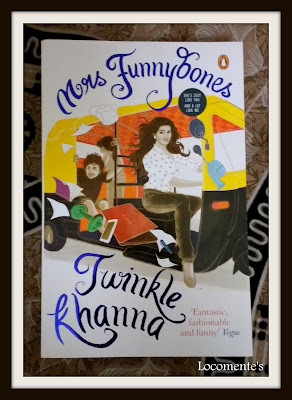 Based on Twinkle Khanna’s super-hit column, Mrs Funnybones marks the debut of one of our funniest, most original voices. To begin with, I loved the title and the cover page. The former is wacky and the latter is catchy. And the author’s name is sure to attract many potential readers. Mrs Funnybones is a tiny book with several little chapters where the author has talked about her teenage days, times when she was acting, her married life and most importantly her children. There is a sense of realism all through the book. Some words profound. Writing about the trivial matters that happens in day to day life, looking at life with a pinch of sarcasm, laughing at the ironies that our lives throw and laughing at oneself is something that most of the bloggers possess. They write about their experiences, fill the gaps with some exaggeration and add some philosophical angle to it. Their language would be super perfect, narrative different yet simple and I bet that most of them have a good reader base. Wondering why I am deviating? What am I saying? Well, Mrs Funnybones is like a compilation of few posts from a blog. I had a feeling that the author is lucky; she has the star status, married to a box-office champ and hence, she sells. I don’t deny that she writes newspaper columns (I have read only a couple of articles), but a book? I am not sure. I read the book because a cousin suggested that it is super funny. I don’t deny that. There are some super funny moments, some which would surely make you laugh. And the book needs just two hours of your time! In short, the book will surely entertain. But it would also make you feel bad at the realization – rich become richer; famous people become more famous! © Nothing in life is sacred except laughter. © Life is full of contradictions. We crave security and independence in equal measures. © We may have potholed roads but at least we have many people willing to travel with us on them. © Love in any relationship, family or an intimate friendship, is only about putting the other person’s needs ahead of your own, and that, my friend, is just as simple and as complex as you make it. I read this book. Honestly my opinion is its not worth a buy if you have read her columns. Indeed the humor part is very good, and relative.